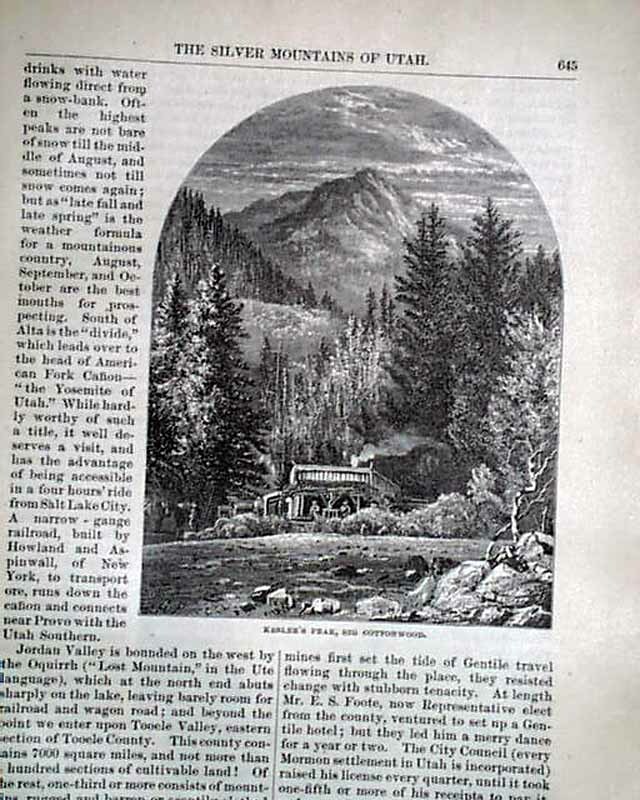 A nice ten page article about "The Silver Mountains Of Utah" begins on the title page, and it includes a 3/4 pg. 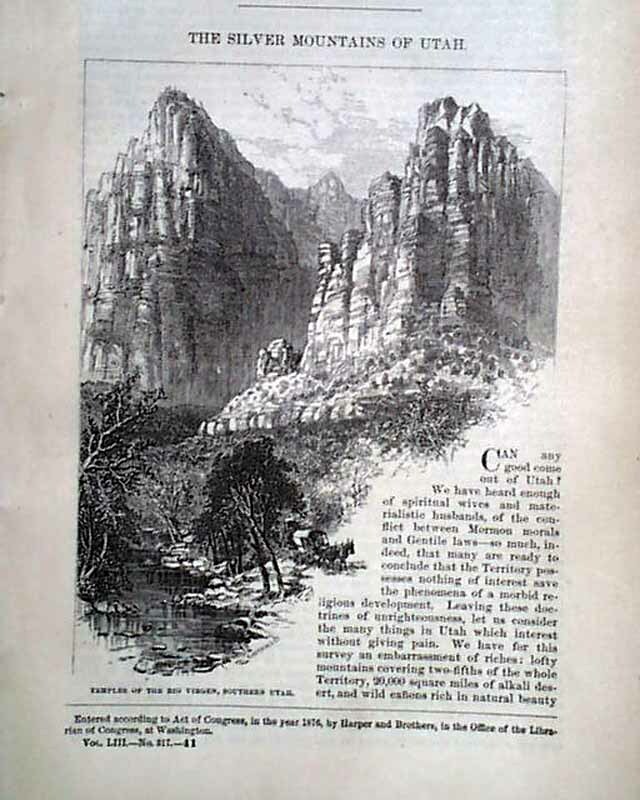 illustration of the: "Temples Of The Rio Virgen, Southern Utah." Includes six more illus. 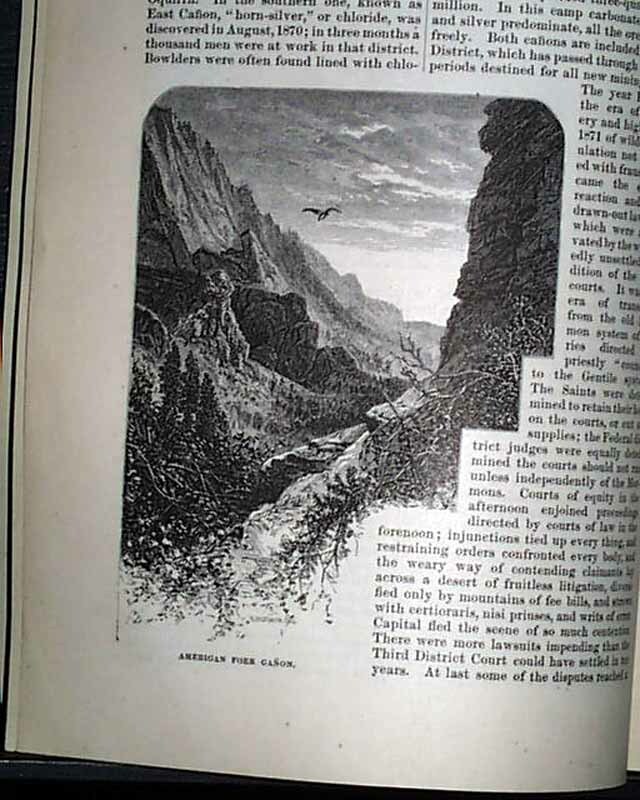 of various scenes including the: "North End Of Little Zion Valley" "Kelser's Peak, Big Cottonwood." 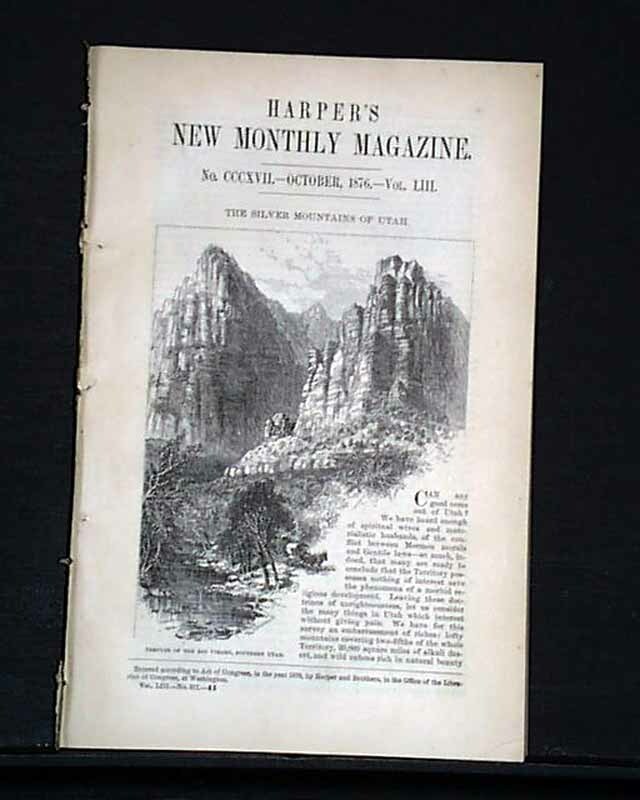 This lengthy article includes many references to Mormonism, and provides a contemporary perspective on how they were perceived by many at this time in history. 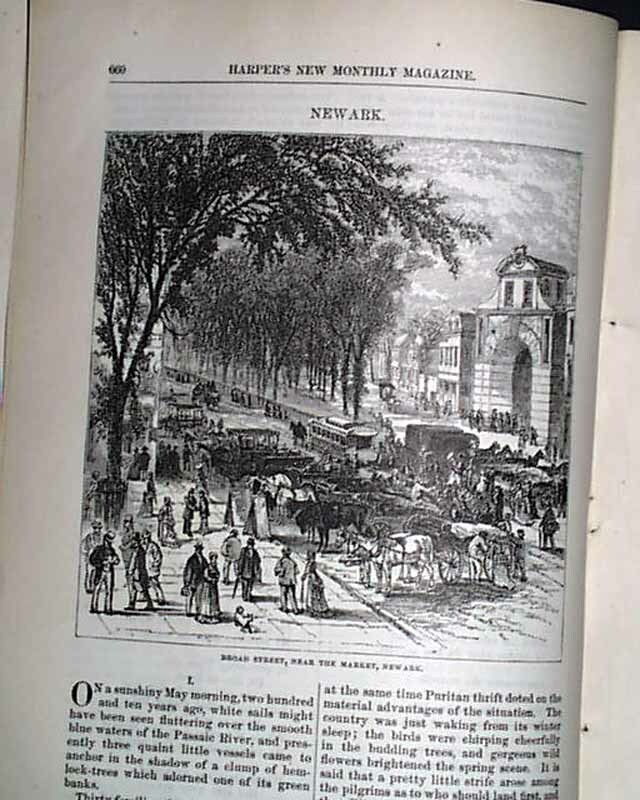 Inside has a fine 19 page article about "Newark," N.J. It has 15 illustrations, including a halfpg. 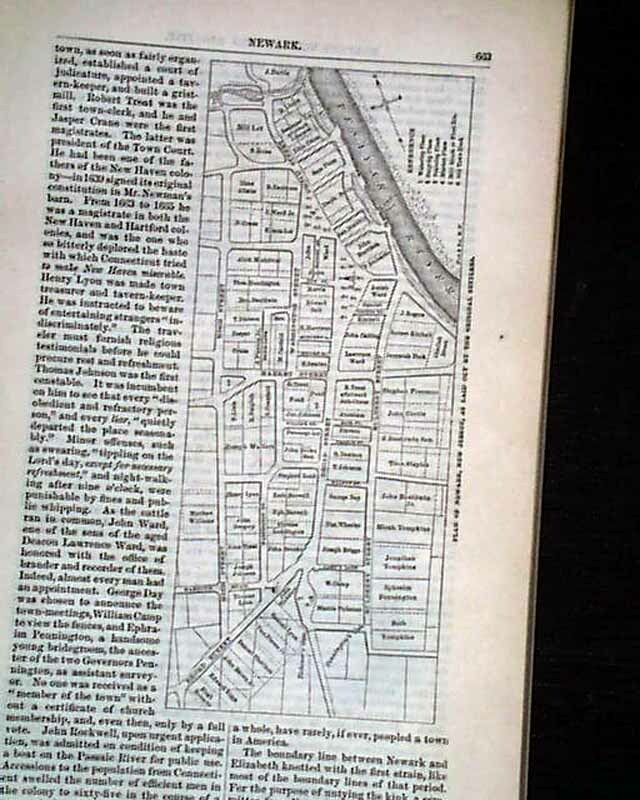 showing: "Broad Street, Near The Market", the birthplace of Aaron Burr, a nice map of Newark taking about 2/3 of a page, and more (see images). Also included is a bio and portrait of the famous English painter, Benjamin Haydon. Octavo-size, disbound without wrappers, with 155 pgs., in nice condition.